Two young Austrians and an Italian have died in a massive avalanche that hit the French Alps on Wednesday afternoon – they were part of a ski tour organised by the Austrian Alpine Club(ÖAV). Another Austrian was left in a critical condition, and seven other people were treated for shock after being swept away in the snow when a huge avalanche hit the Alpine Ecrins National Park in south eastern France. The ÖAV said that it had organised the ski tour and that one of the victims was from Vienna and the other from Salzburg. A man from South Tyrol in Italy also died. The victims were aged between 20 and 24 years old. A young Austrian from Tyrol is being treated for serious injuries in Grenoble hospital. The ÖAV said that the four men had been skiing as part of a tour group of 11 people from Austria and Germany. Foreign Minister Sebastian Kurz expressed his sympathy for the victims and their families. Staff from the Austrian embassy in Paris have travelled to the Alps to work with the local crisis team and assist where they can. The avalanche struck just after 3pm on the slopes near the town of Villar d’Arène, and a team of over 50 firefighters and specialist police rescuers with sniffer dogs were dispatched to help with the search, but winds of over 80 kilometres an hour complicated the task. The ÖAV said that six Austrians and a German had been rescued and were in shock. It said in a statement that “our thoughts are with the victims’ families in this terrible time”. It is sending a team of experts to France to investigate exactly what happened. A local official, Pierre Besnard, said the bodies of the victims have been taken to a chapel in Vallouise. 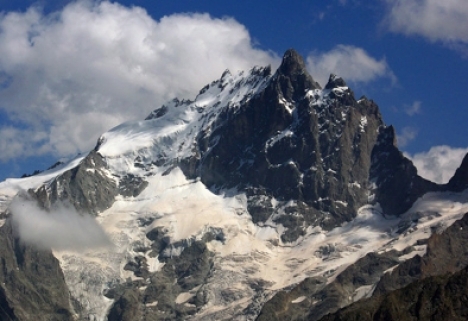 Witnesses quoted by France 3 Alpes said the avalanche was “spectacular”. The avalanche risk in the area was between 2 and 3 at the time on a scale that reaches as high as 5, reported the La Provence newspaper.